Apparently wooden iPad case has been a commonplace now, but have you ever seen a iPad case made from coconut? If you’re curious, let’s go on checking. 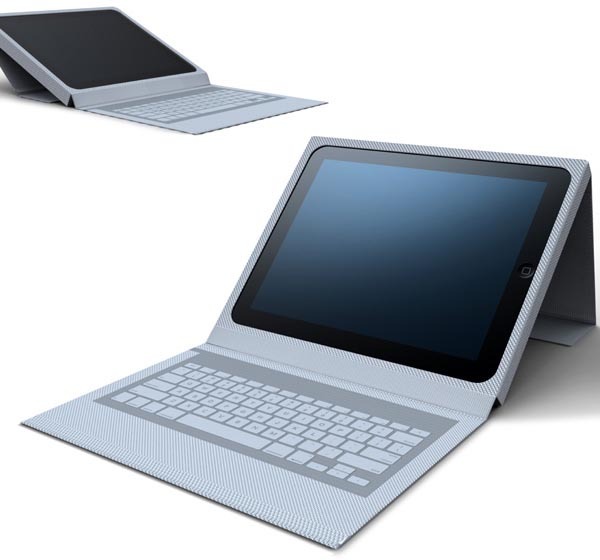 As we can see from the images, this is a tri-fold iPad case that features a built-in wireless bluetooth keyboard. Of course, the most important feature isn’t the appearance, but the materials used on the case. Two designer from Korea, Cho Youg-jo and Jeoung Jun-tae utilized eco-friendly materials from coconut to make the iPad case. This kind of natural material will not cause environmental pollution. Whenever you want to change your iPad case, you can throw it back to the nature. After the break, check out the demo video. 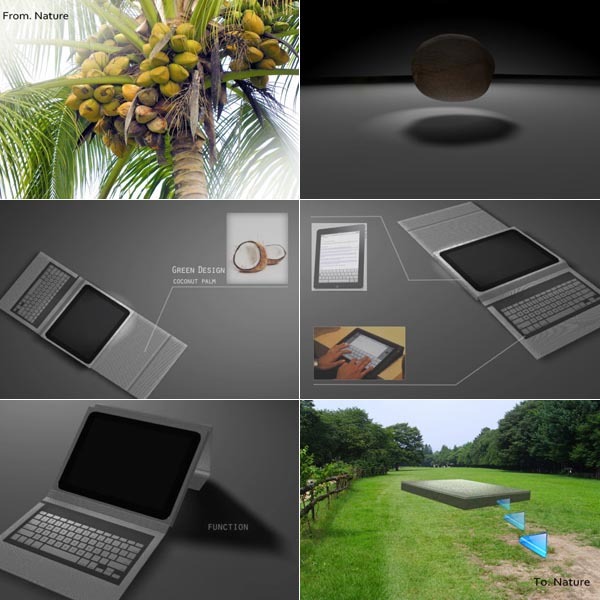 Unfortunately, the coconut iPad case is still a design concept at present. We hope to see the unique eco-friendly iPad case on the market soon. If you can’t wait, you may like to check Vers wooden iPad case, bamboo iPad case, and more via “iPad case” tag.